At the triumphant completion of a project by this currently cold-ridden blogger, allow me to wind a long yarn upon my lately finished CV Generator. About a year ago, maybe a bit longer, I started work on something to cure the general bane of life that is writing a CV. It was during third year at university that the idea hit me – a CV is a fairly regular form, generally the same information can go into it, so why can’t a computer do it and give me a few more hours of my life to sleep in, rather than actually have to do things. After far longer than it would actually have taken to write a CV, I created a bit of code to generate a vague CV and then gave up on it for a good 12 months. Then last weekend I had a few spare moments and found a nice looking bit of CSS online, so I smashed my old CV generator into it and gave it a nice webpage. So go, tenacious reader, and generate CVs to your heart’s content. It doesn’t look great on mobile yet. 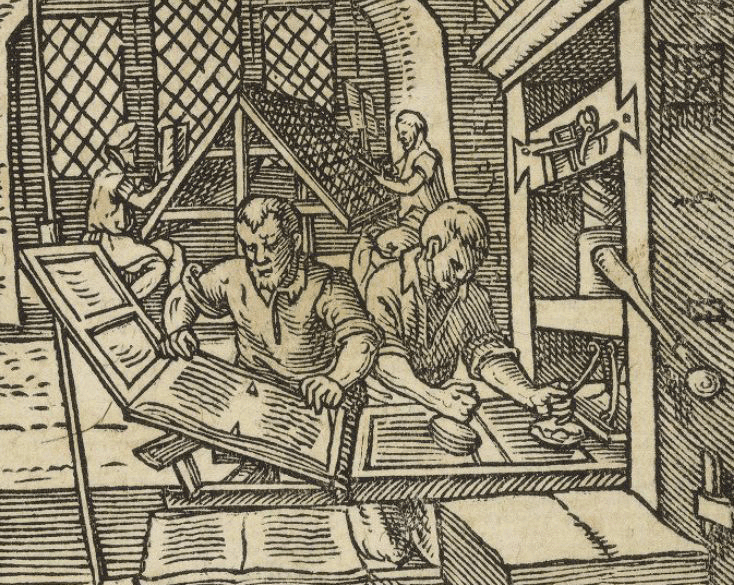 As much as posts about bookbinding already over-populate this populous muddle of a blog, allow me to carry on into kind obscurity with yet more progress, and the tale of my new (old) book-press. Book-presses are a fundamental tool dating back to the early days of book binding, and I’ve been using a makeshift press made from perspex held together with a range of clamps for the last few years – time to get something proper. Just before Christmas I’d found a press on that wonderful emporium of everything – ebay. Even though it was described as in working order, when I picked it up from the seller it was clearly smashed to pieces by a century of neglect, and I’ve spent the last two months stripping it down, making up bits that were missing, and putting the thing back together. 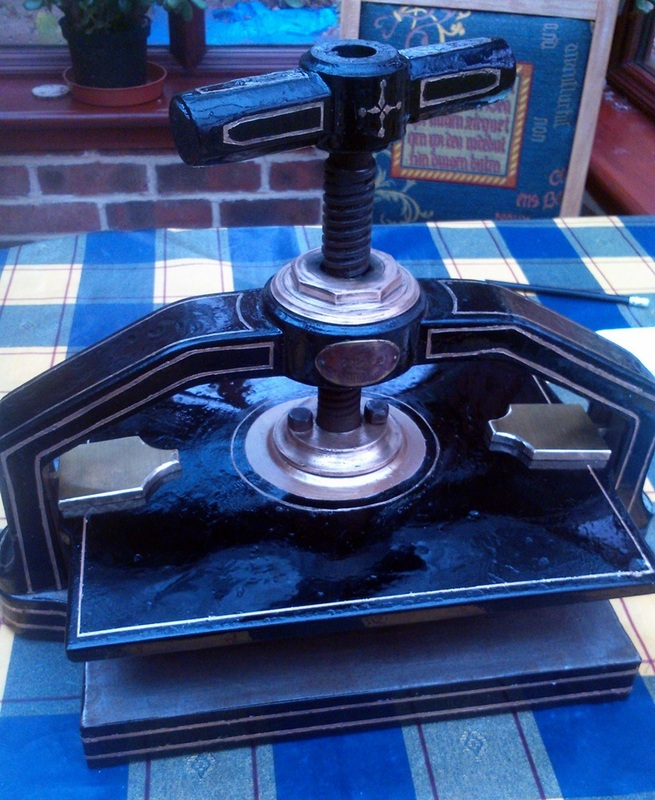 My new press is a veteran of Victorian England, and dates from about 1870. 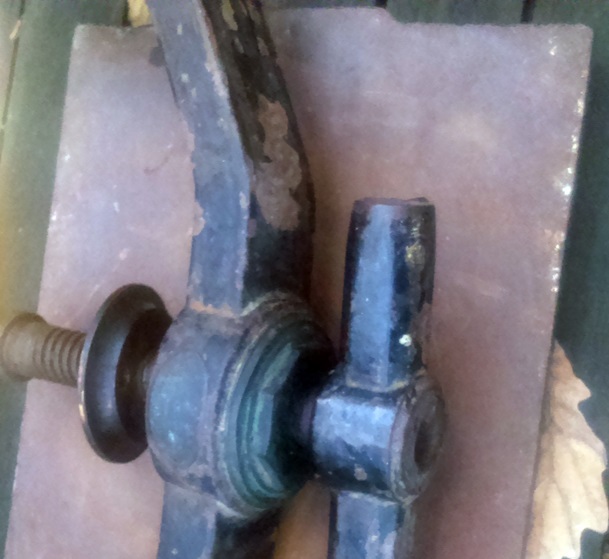 It’s definitely been through its own share of history – most of the brass parts of it, including the handles, had been hacked off with a chisel at some point; the Victorian paint was largely chipped away, and a thick coat of rust had generally enveloped the cast iron frame. Some things were fixable. Iron can be stripped down, new brass can be recut, paintwork can be redone. 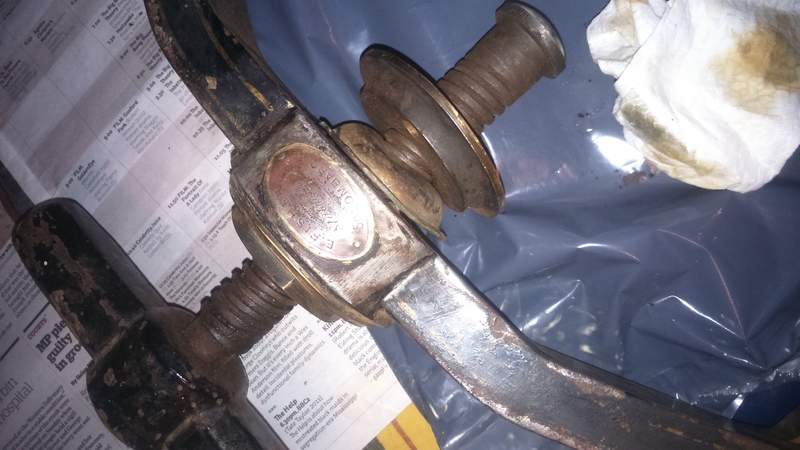 Since it’s cast iron, welding or attempting to reshape any of the damaged ironwork was out of the question, and sadly when the brass handles had been hacked off the iron spurs inside them had gone too, so the press will have to work with the iron stumps rather than regaining any new pieces of metal there. As I was cleaning off the years of encrusted oil and dirt I discovered, still pinned resolutely to the A-frame of the press, the original owner’s plaque engraved with ‘E Fisher Stationer 50 Lombard St’. Rather fascinatingly this name traced the press to Eden Fisher, an incredibly successful stationer to the great and the good of Victorian England, who set up a small shop in Lombard Street in 1873 that made him a multi-millionaire and was in fact the start of a company that lasted 100 years. This press, though, had definitely suffered as industry moved on and grand pieces of Victorian engineering became obsolete. 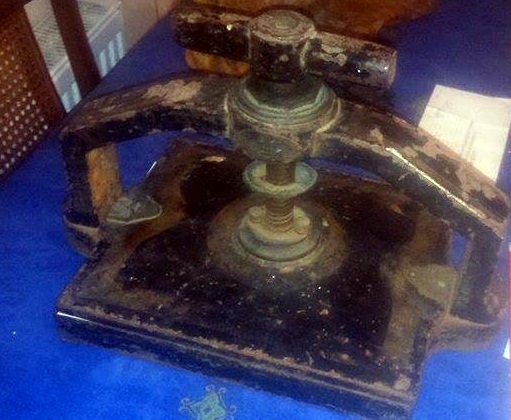 At some point someone has tried to remove all the brass on the press, certainly to sell it for scrap, and the years have left it in a battered, rusty, and pretty much unusable state. Firstly, I had to take the press apart so I could look at each individual piece, these were then each in turn stripped down with a wire brush and sand paper. The few remaining brass pieces needed cleaning up and then the cast iron frame needed repainting. 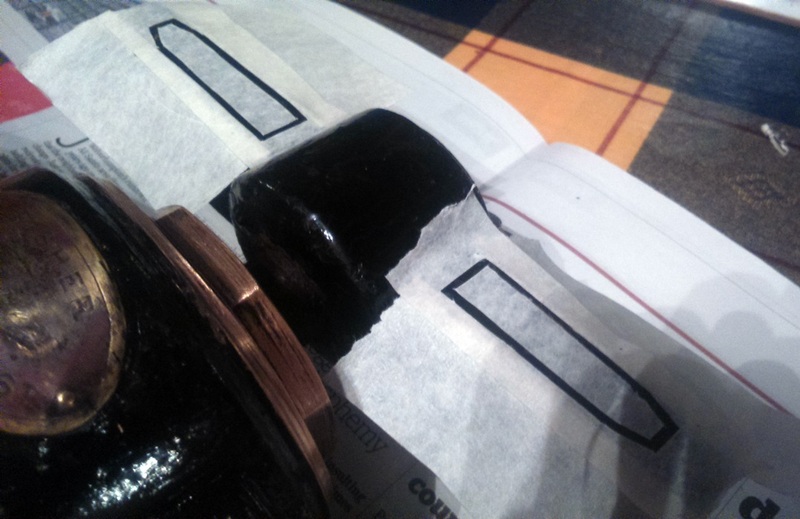 A black base coat went over the whole thing before I added gold details with masking-taped out lines. The brass guides that hold the press straight while it is being moved up and down were missing so they had to be remade. I ended up cutting them out of a thick brass sheet, before measuring and shaping them to create guides relatively similar to the originals. Then it was just a matter of bringing all the parts together, and I had myself a new (old) book press! Some final work just needs tidying up – the gold detailing needs doing around the new brass guides, since I couldn’t do that before they were attached. But, for just a couple of hours work each weekend for the last two months, I am pretty pleased to have such a nice little press in very good working order! Until next time, remarkable reader! Recently I decided how excellent it would be to convey to employers just how great you are. Yes, kind reader, you may be great, but how does one show off that greatness to others who will pay you to stand there and continue being great? For such an excellent purpose, I built my new and illustrious CV Generator, which, after no more than a moment’s work, will generate a CV that will doubtless lead you to success*. *any success you may experience may or may not be related to the Illustrious CV Generator™. By ‘doubtless lead’ it is purely suggested that you may one day end up at a moment further ahead in time than this moment, nothing more. Having now made enough money out of my Danbury Place eBook to afford a meal at Spoons, in my attempt to advocate that everyone in the world should really do this, surely there’s no point just writing something and leaving it doing nothing I would like to write a short tutorial on how to publish an eBook for sale on Amazon in just a few minutes. This certainly isn’t up to the standard of any of my previous tutorials, mainly due to the very little time I have to myself right now, for each bit that’s wrong you may yell at me. Hopefully, if you’ve used the internet any time in the last decade, you should have an Amazon account. This is pretty essential I’m afraid. If you don’t have one, go make one, it’s free. Make sure you’ve got a card linked up to it as well or you’ll probably struggle to get money from your ebook into your bank account*. Next, make your way to kdp.amazon.com, where you’ll be able to publish your ebook to the world in just a few clicks. Log in with your amazon account, and you’ll find yourself on the helpfully named ‘dashboard’ page. Don’t be fooled, you’re not in a car, this is where you can begin uploading your ebooks. Press the ‘Add new title’ button on the left side of the page. Make sure you’ve pressed Add Contributors and added yourself as author, editor, firefighter, or whatever else your roll was in the production of the ebook. If it’s your work, tick the ‘It’s not public domain’ box, if it’s public domain then it must be significantly different to other versions of the work on the internet, or the only ebook copy of that public domain work. Remember, for your own work you get 70% of all sale revenue, for public domain work ebooks you’ll only get 35%. Upload a cover if you have one, otherwise their cover creator is actually very good, and I’ve used it for both of my ebooks. Finally, upload your ebook file to Amazon, they’ll then convert it to their own ebook format so that anyone can read it. They accept Word, HTML, Zip, mobi, ePub, RTF, TXT, and PDF files, so no, you can’t upload your ebook as a series of unrelated GIF files and a live hamster. Now press Save and Continue, and Amazon will take you to the pricing options for your eBook. Tick worldwide rights, unless your ebook breaches any copyright laws of different countries or world powers – if it does, blimey. Next there’s 70% or 35% royalty tick boxes, if your work is public domain then 35% should be ticked, otherwise tick 70%. Finally, there is a tickbox at the bottom of the page that you have to tick to confirm that you’ve done everything legally and you’re not trying to smuggle space fuel to Gibraltar. Tick this (unless you are really smuggling space fuel to Gibraltar, in which case, why are you wasting your time publishing an eBook? ), and press Save and Publish. There you go, now your eBook will be reviewed by those lovely people at Amazon, or maybe a computer program that crawls over it to make sure you’re not giving advice on space fuel smuggling and other illicit activities. In a few hours you’ll be able to fill your blog with all sorts of annoying BUY THIS NOW PLZ sentences. Works well as an advertising strategy, doesn’t it? 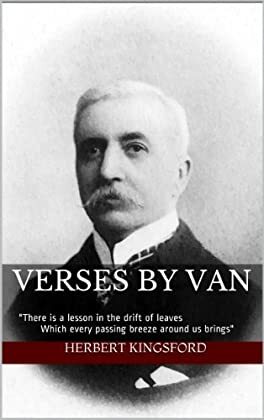 Also hastily written Amazon ePublishing tutorials are a great way to get away with writing BUY THIS NOW PLZ in a post where it would otherwise be out of place, and a little annoying. To start earning money, you’ll have to click on the ‘So-and-so’s-name Account’ link at the top of the page, where you can complete your tax information and change it so that Amazon make all payments directly into your bank account. By default, since this is the late sixteenth century, they send you a cheque. It is often I find myself combining the rather obverse subjects of bookbinding and computing, often with ill-advised effects. 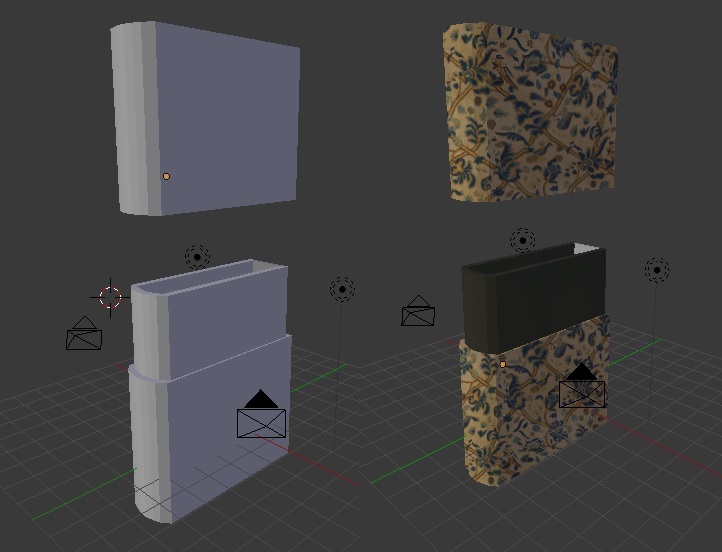 I haven’t had much time to blog recently, so I thought I’d just show the obscure uses that (perhaps) 3D modelling can bring to bookbinding. Some time last summer I bought myself a copy of the Eikon Basilike, the ‘King’s Book’, an early impression of the reflections of the unfortunate royal martyr King Charles I, printed while it was still a banned book either in the year of his execution or some time in the following decade. The book is in poor condition, several of the final pages are missing as well as some half-a-dozen leaves from the middle. It is however, still bound in the original 17th century leather and full of contemporary Royalist annotations in the hands of a man who seems to have supported the king, and may even have been one of those noble battlefield cavaliers. As a piece of history it is priceless; so how can computing help a time-worn volume like my little Eikon Basilike? Well, hopefully at some point in my life I will have the funds to restore the damage that over 350 years of existence has dealt to that book, and at least consolidate its broken parts into one readable book. Until then I plan to build a book-box for it, just to stop any other books on the shelf rubbing against it as they may be moved as well as protect it against all manner of other possibilities. This is where 3D modelling came in quite handy. I’d seen a very nice looking book-box on eBay – an early 20th century embroidery-over-card item that came in two pieces and was very reminiscent of much earlier boxes I’d seen of the same period as my book. Just one problem, my book was too tall. After quickly checking out how much a saw would cost to order, and having placed the Eikon Basilike ready in a vice, I decided there were probably less terrible ways to solve this issue. With the bits of boards (as in cardboard for books, not wood, silly reader) that I have lying around, I decided to build me a book-box (doubtless a blog post yet to come), and, to work out the very best design, rather than sketching it as I usually would, I turned to 3D modelling. I built the book-box that I’d seen on eBay in the program, played around with the size, and even added a hinge-bit onto it that wasn’t on the original. I could view it from all angles and really get an idea of what would work and what wouldn’t. Fantastic, 3D modelling and bookbinding slammed together, and I didn’t have to saw any old books in half. Alright, so I’ve been playing around with quite a lot of different projects since the end of University – even finally had a try at Backbone.js and it’s really not that bad – but I thought I should post something here to prove this blog un-neglected. So, allow me to privately add something here that I couldn’t put on the Chrome store because I really own none of the content copyrights, and all rights to it obviously go to the original producers. And should they take offence to it being here, I shall obviously remove it. Basically, save the above .zip file to where ever you want it, unpack it, then go to chrome://chrome/extensions/, tick the Developer Tools tick box on the top-right. Then click ‘Load unpacked extension…’ just under the extensions header, navigate to the now unpacked folder that you downloaded above, select it and press Ok. If you don’t use Chrome then go download it, I know you love Firefox, but Chrome really is better than it once was. Now go to Facebook and see what everyone’s up to. Far from the pleasant merits of bookbinding, or the toil of revision, I would gladly like to produce here a piece of work that I have spent the grand total of a few hours on a train and a couple of sleepless nights on – a solar system! Alright, maybe I’m getting a little grandiose in my plans, but please, kind reader, have a go at this small project (that really is just the start of what I plan to build) and go build a solar system. It’s not as awesome yet as I hope it soon will be. There might be a lot of physics lacking, and I’m right now working on implementing some pretty elliptical and figure-of-eight-shaped orbits that I’ve written. Then comes planets pulling each other into themselves and maybe a few other curious things like moons. This is an active testing directory for it, so it will change when I have time and there are going to be plenty of bugs. I can only offer my humblest apologies for the neglect that this honest blog has seen this past month; as my dissertation has progressed my ability to socialise appears to have drastically diminished. Never fear, however, kindest reader; allow me to ramble some more gibberish into this lazy space of internet. Job hunting is also taking over… more of that to come too I suppose. And, finally, dear reader, until next time may I recommend that you check out the excellent Wonderground Underground map. It has taken me far too long to produce what is a second and even more brief overview of the functionality of GAE; particularly in this case the Google Cloud SQL and connection to it. Though I hope it is useful, I apologise for it not being anywhere near the quality of my previous tutorial, and I shall no doubt revise it as and when I have time. – 1.5.3: Good luck and Have Fun! (If you have followed the previous tutorial you’ll know this bit. )This app is being developed in Google App Engine 1.8.5, available here. It requires Python to be installed on your computer, at this time version 2.7 seems to be the most stable with the app engine so that’s what I’m using. If you don’t have it, it’s around about here. First, go to https://cloud.google.com/console and log in, this is the Google Cloud console and from there you can set up an SQL project to connect your app to. 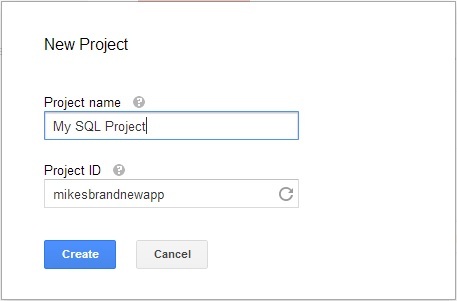 Click the red button near the top that says Create Project and enter a project name and ID to create your app’s very own space on the Google Cloud. On the left hand side there’s a menu, the third option from the bottom is called Cloud SQL, click it to set up the SQL Instance – basically the connection settings for using SQL from your app. Now click the red button at the top labelled New Instance. Here you create the instance – basically rent space on the Google Cloud – useful, but sadly not free. Fill in each of the boxes; enter an Instance ID, Region (this is the physical location of the Google servers you want to use, not your location), then select billing options and add any authorization specifics. At the bottom make sure that your Google app engine project is listed under Authorized App Engine Applications. Now go into the menu option on the left called Cloud Datastore and click the red button at the top called Create Entity. Give it a ‘Kind’, which basically seems to be the database name(?). Then you have a drop down called Key, and you can either have this as ID, in which case its name will be a randomly assigned number, or you can change that to Name, and give the Key a name yourself. Keys, as far as I can tell, are much like tables, for the purposes of my database I will make a table called Players, who will have a name and a score. You add the fields of the table, in my case name and score, at the bottom of the form where there is a blank text box followed by ‘a string’ or whatever, then indexed or not by blank. Not the best way to lay it out, perhaps. Anyway, the first blank box to the left of ‘a string’ is the name of the field; my first one is called name. You can then change the ‘a string’ drop down to whatever is the applicable variable type – in my case I keep it as ‘a string’ since it is just text. If you want to index your data you can. To add more fields, simply press the plus symbol at the end of each field. Sometimes there seems to be a problem saving fields, if this happens then try changing the variable type. Once you’re done, just press the blue Create Entity button at the bottom of the form. You can connect to your database using PDO, MySQL, and MySQLi; being most comfortable with MySQL, I’m going to quickly explain how to implement the connection in your app in that language, but Google explain all of the options fairly well here. Go into your PHP app file, if you’re following on from my last tutorial then in the main.php that we created earlier, somewhere in <?php ?> tags add SQL code similar to mine that selects whatever SQL Instance/Database fields you’ve set. Now you’re connected to the database, you can query and search for your fields or upload data. I should note that I have not played around much with this code, and for further Cloud SQL help this tutorial looks very helpful. Since Google Cloud PHP/SQL isn’t particularly well documented at the moment, it may not be the best option for major projects; I plan to do a Google Datastore tutorial soon.